Cheeseburger casserole. Because who doesn't love cheeseburgers?! This easy 40-minute casserole recipe is sure to become a family-favorite. This tasty casserole recipe packs all the flavors of a traditional cheeseburger — minus the bun. But with macaroni instead, I can guarantee that you won't be missing the bun at all. If you family loves Hamburger Helper, they are sure to love this cheesy dish as well. 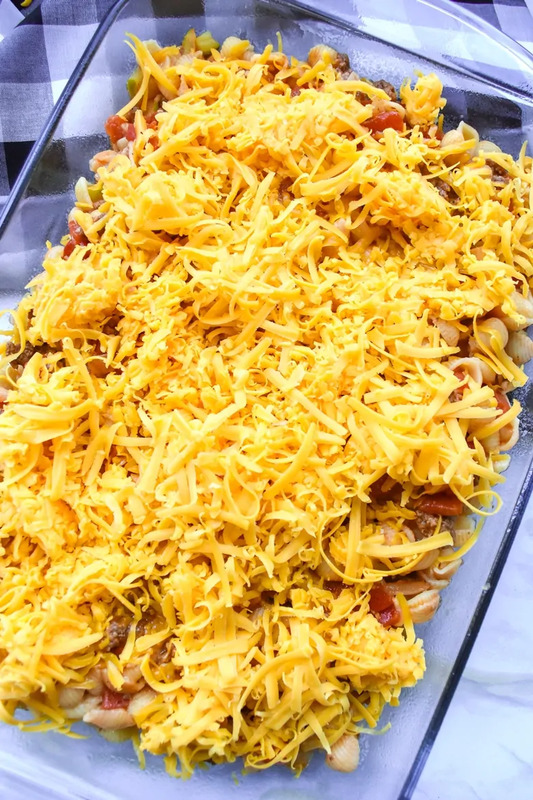 For this recipe you'll need: macaroni, ground beef, onion, flour, diced tomatoes, cheddar cheese, dill pickles, ketchup, worcestershire sauce, mustard, garlic, salt, and pepper. The recipe starts out on the stovetop, but then gets transferred to a casserole dish and baked in the oven. Have an Instant Pot?! 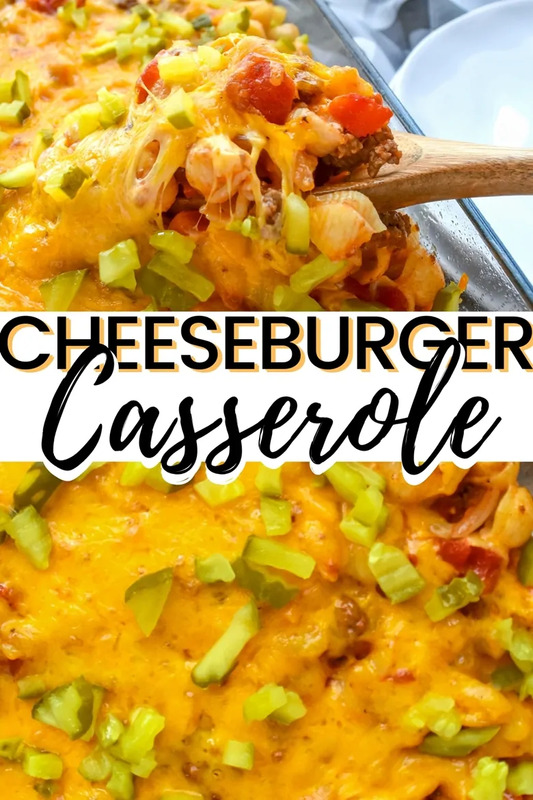 Try this Instant Pot Cheeseburger Casserole. The first step is preparing your macaroni according to the package instructions. The, set that macaroni aside while you prep the meat. 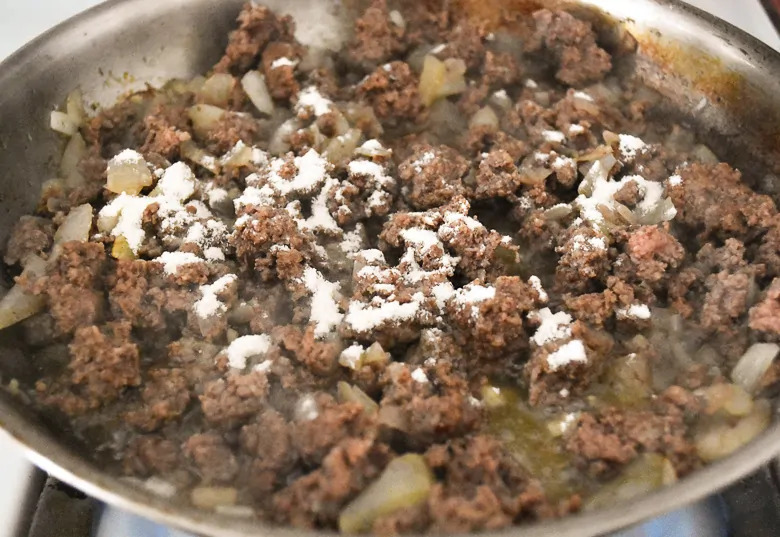 Cook the ground beef on the stove top, along with the onion and garlic. 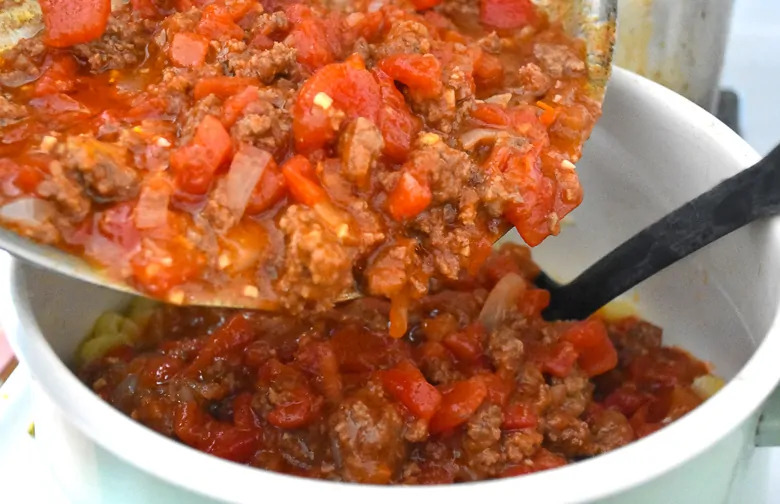 After adding the flour, tomatoes, and other ingredients to the beef, you will combine the beef mixture with your cooked pasta. Stir in half of the chopped dill pickles. Then, transfer everything into a casserole dish. Top with a layer of delicious cheddar cheese — because it wouldn't be a cheeseburger casserole without it! Bake for 30 minutes, and broil for 3 minutes to get the cheese nice and bubbly. Once the casserole comes out of the oven, sprinkle with the remaining pickles. 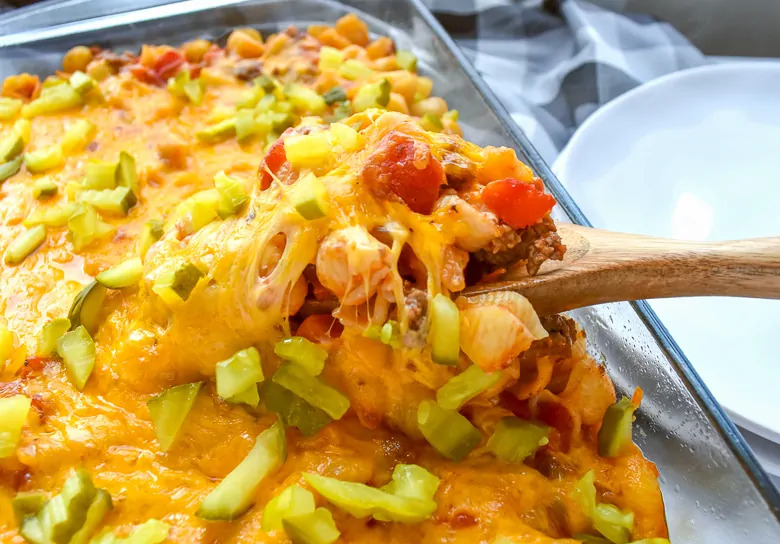 A hearty and family-friendly 40-minute cheeseburger casserole recipe made with ground beef, macaroni, cheddar cheese, onions, tomatoes, and dill pickles. Preheat oven to 350 degrees. Prepare a 9 x 13 in casserole dish with cooking spray. In a large pot, prepare the macaroni al dente according to the directions on the package. Drain well, return to pot, and set aside. 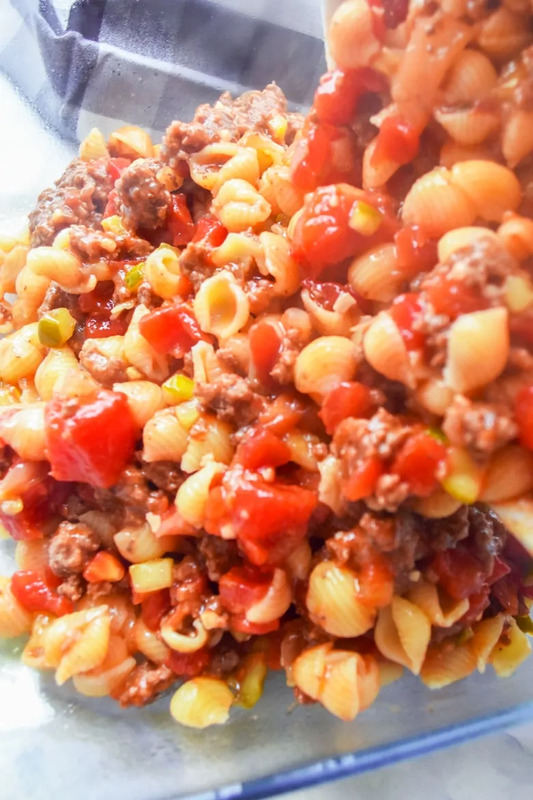 While preparing the macaroni, saute the ground beef and onion in a skillet until ground beef is fully cooked and onion is transparent. Stir in garlic and sprinkle flour over the beef. Allow to saute for 2 additional minutes, stirring frequently. Stir in the ketchup, diced tomatoes, mustard, salt and pepper, and worcestershire sauce. Let simmer for about 5 minutes. Combine the beef mixture and ¼ cup diced pickles to the cooked pasta. Transfer to casserole dish. Bake, covered, for 15 minutes at 350 degrees. If desired, remove cover and broil for about 3 minutes until cheese is bubbly. Sprinkle with the remaining pickles and serve. 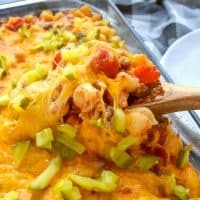 This recipe was shared on The Weekend Potluck over at The County Cook and Meal Plan Monday over on Southern Bite. It’s true, I didn’t feel the need for the bun with this recipe. Congratulations, a really succulent recipe, easy ingredient to find, great! My dad used to make something just like this growing up. Brings back so many memories! Boy oh boy was this one delicious casserole! 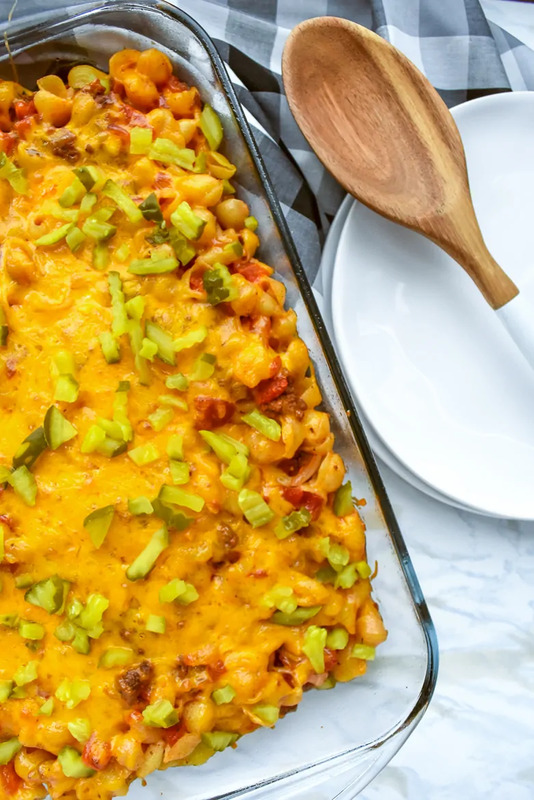 As a mom who is always on the go, I am always on the hunt for winning casseroles! This one won us over! My kids went crazy over this with all of the melty cheese! I think my family would LOVE this! What a delicious dish! Oh yum! This casserole is right up my alley. It looks so delicious.